PCs and laptops need wireless adapters to receive wireless signals and get online. USB wireless adapters plug straight in and get you connected instantly, allowing you to connect to your WiFI router without cables. 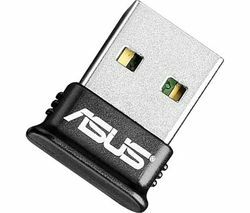 If you’re using an older laptop or PC, a USB wireless adapter provides an easy and instant way to upgrade your wireless connection so you can make the most of the faster speeds on offer from the latest WiFi routers. Wireless adapters come in two varieties – ones that fit inside your computer, and ones that plug into a USB port on your computer. All of our TP-Link wireless adapters are ultra-portable USB adapters that you can carry anywhere for wireless connectivity on the go. 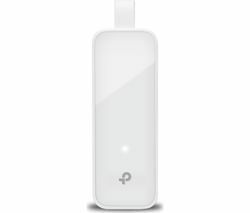 Wireless adapters are compatible with a range of routers, including N300, N600, and AC 1200 routers, and are capable of delivering a range of speeds, from 150 Mbps to 1200 Mbps. Some feature built-in aerials that aid signal strength, and some models are compatible with dual band wireless too, so you can connect to either band emitted from your router. For an instant wireless upgrade for your PC or laptop, a USB wireless adapter is an easy solution. Check out our full range of network adaptors to find out more about your network and WiFi connectivity options.